True, traditional, white tea is uniquely defined as tea that comes from the first buds on a cultivar of a more than 200-year-old tea bush from the Fujian Province on China’s eastern coast. These tea plants are unique in that they produce buds and leaves that in post-processing reveal a fine feathering of white “hair”, thus adding further distinction to white tea. The tea buds for this superb tea varietal are meticulously hand-plucked from a small number of Fujian gardens that are esteemed for their Da Hao tea bushes, particularly the Fuding Da Bai and the Zhenge Da Bai bushes used in the most prized white teas. The buds are plucked in early spring before leaves have a chance to develop, and climate conditions must be perfect throughout the harvest period. There must be no frost, rain, or even dew present. Tea masters producing white tea use buds that are perfect, not too long and not too thin. Only the fully-fleshed, robust bud is picked for the tea, leaving behind buds that don’t meet these characteristics. And if there are slight variations in the buds size of a harvesting, tea masters know how to counterbalance the processing of them to obtain the best flavor from the entire batch of buds. Fresh buds are dried expertly and rapidly in shaded areas, but with open air circulation, a process that prevents the “greening” of the bud – the development of chlorophyll from sun exposure. 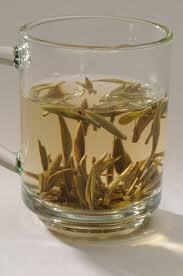 10,000 tea buds make a mere 2.2 pounds of white tea. The minimal processing of the tea buds gives the resulting white tea its unique color and characteristics. While we can’t minimize the hard work that goes into the processing of white tea, it is an uncomplicated two-step process. After plucking, the buds first undergo an outdoor shaded withering and then a second indoor withering. The outdoor withering of the buds starts on the bush, where they are shaded approximately 3 weeks before plucking. Shade withering is typically continued after plucking in the open air under a pavilion of sorts. 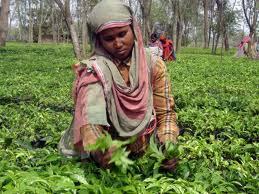 The buds are then moved indoors to complete withering to the level expected by the tea master. Then end result, is a white tea that is light in color, delicately sweet tea tasting with interesting tones reminiscent of both honey and chestnuts. Authentic, traditional white tea should be labeled as coming from the Fujian Province and as having been produced from tea buds only – no tea leaves should be in the mix. But due to it increasing notoriety, the demand for white tea has prompted tea makers from other regions to make their version of white tea. These new producers of white tea include the Anhui Province of China; Darjeeling, Assam, and Nilgiri of India; and Sri Lanka. Da Hao tea bush is typically not the same varietal used in the Fujian white tea nor grown in the soil and climate of the Fujian Province. This alone will vary the flavor and look of the tea. A mixture of buds and leaves may be used to produce the tea, with any stems being sorted out later in the tea processing. Processing the white tea is a 3-step process rather than the Fujian 2-step process. The added step of oven bake drying (not firing) is required to completely dry the higher moisture content of the leaf/bud clusters. The result of this sort of tea production is a white tea with a more concentrated taste than what is experienced in the Fujian traditional white tea and one that is less expensive and more readily available for purchase. 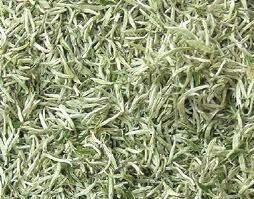 “Tea leaf white tea” cost about one-third the price of traditional white tea produced in the Fujian Province. Perhaps a good buy, but some tea connoisseurs will tell you that the taste does not compare to the traditional white tea, but as always, you should experience the taste of each tea and decide for yourself which is most satisfying to you. 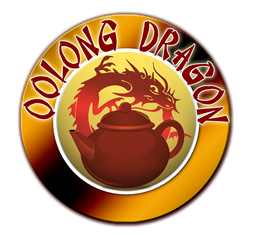 * Tea experts/connoisseurs have been known to vary on this, some ranging oolong oxidation levels at say, 20 to 80 percent – the main things to know is that it can run anywhere between a green tea and a black tea in terms of oxidation. Trying different types of white tea from different regions will give you a broad perspective on the flavor, aromas, and characteristics of this unique tea, and how it changes from one growing region to the next, and one tea bush to the next. I hope you’ll have the chance to experience the new wave of white tea as well as the heralded traditional white tea from the Fujian Province.